We are very proud of our people at Caledonian Discovery Ltd and over the years we have attracted a great team of individuals that have contributed heavily to our ongoing success. Five of a crew will look after you during your stay. An experienced skipper will be at the helm. The mate is an instructor qualified in a variety of outdoor activities. The cook is in charge of the galley and all things domestic helped by an assistant and they are all helped by the bosun who makes up the usual complement of crew. On occasion there will be a themed week where there will be a music leader or wildlife leader as part of the crew. Martin lives locally with his wife and 2 children. 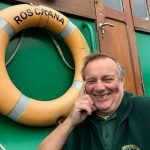 He is a highly qualified and experienced skipper and outdoor instructor with qualifications from the Royal Yachting Association, Scottish Canoe Association, Scottish Mountain Leader Training Board and the Royal Life Saving Society. Neil has the very enjoyable task of promoting Caledonian Discovery. Before joining the company he ran his own business advising small organisations the most effective way to develop their marketing ideas. He is now focused on making Caledonian Discovery a popular holiday destination. Anne Marie will generally be the first point of contact when you call or email the office. She is extremely friendly and ready to help you through the booking process. Armani is our person who manages all the accounts. She also helps with the bookings and will probably be the first person you will talk to if you have an inquiry or wish to make a booking. Dave, better known as Swampy, takes the helm for certain weeks over the course of the season. 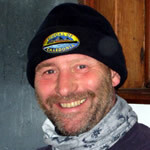 Dave started with Caledonian Discovery in 2000 and progressed to skippering the barge in 2005. In the winter, Dave is a ski patroller at the local ski resort. 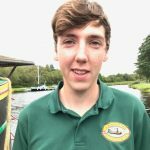 Brought up in Henley, Adam has spent most of his life on boats. 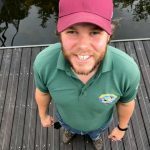 His work with Caledonian Discovery started in 2013, gaining his Boatmaster Certificate in 2016. When the 2018 season finished Adam joined us full time as the Operations Manager. His role is to assist in the day to day running of the holidays and maintenance of the barges. 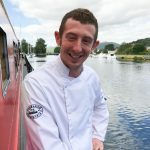 One of the few true locals working with us, Brian started working on boats around Fort William at the age of 8. Since then he has travelled around the world crewing/skippering various vessels. 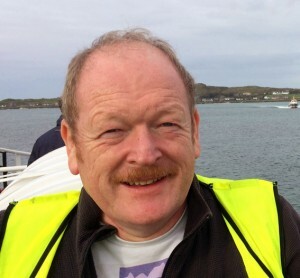 More recently when not working with Caledonian Discovery Brian has skippered the seal island cruise vessel to view the wildlife on Loch Linnhe. He is also our occasional driver of the minibus, returning our guests to their starting point. Olivia is a teacher and a freelance chef based in London. 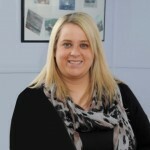 She first worked with Caledonian Discovery in 2010 and she loves returning to cover holidays or breaks when required. 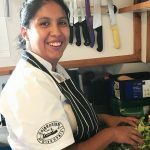 It is her passion for food and the convivial atmosphere on the cruises which keeps her coming back. James, from Doncaster, arrives with plenty of experience preparing good food in cramped spaces, he used to work in the Royal Navy. On leaving the Navy he worked in ski chalets and also established his own catering business. When not in the galley, if you don’t see him out in the open, enjoying the outdoors, you may see him tinkering away on his campervan. 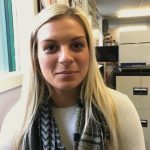 Originally from Kendal, Lucy has worked across Europe and various places in the UK, from the Isles of Scilly to Old Trafford. 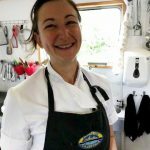 In her last two jobs, she has created meals for similar numbers on our barge, so this new challenge will be a piece of cake – she also enjoys baking. 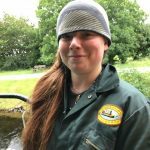 From Greenock, Lucy joined us in 2012 with a love of anything to do with engines. 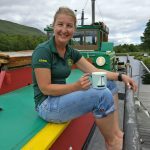 From a very early age she has been passionate about historic vessels, particularly “Paddle Steamers”. This enthusiasm has allowed her to contribute regularly on articles in Paddle Steamer magazines. From Aberdeen-shire, he loves the outdoors. His first time on board Fingal was in 2005 but the lure of other work, in particular photography, took him away from the Highlands. Now on his 4th full season he says his greatest learning experience was his time in the cubs and scouts, where he discovered there is a correct knot for each job. 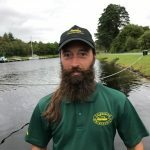 Originally from Guildford, Chris has worked in Wales, the Lakes, France, Spain and now Scotland, as an outdoor instructor. With a plethora of outdoor qualifications his true love is for all sports which include a paddle! 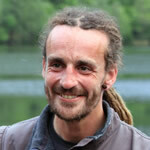 From the Orkney Islands, Magnus has recently qualified with an Honours degree in “Adventure Tourism”. 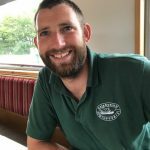 Apart from his degree he is also qualified with a Mountain Bike Leadership Award and his Paddle ticket from the British Canoe Union. 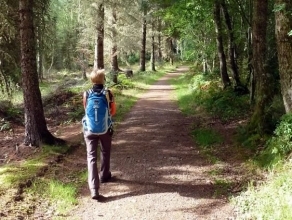 Originally from Edinburgh, the draw of the Adventure Tourism Management Degree, (a degree of having fun,) allowed her to follow her passion of guiding and to share her love for the outdoors. When not helping with Caledonian Discovery you can find her working as a technician in the theatre and on outdoor displays with fireworks and pyrotechnics, including the London Eye New Year display and the Royal Edinburgh Military Tattoo.